How did you learn about money? Did your parents teach you how to write a check, balance a budget and open banking and investment accounts? Or did you learn through another trusted adult, like a teacher or college professor? Or did you overdraw in your checking account, go into credit card debt, and had to spend your 20s or 30s digging yourself out? Well, you're not alone. The state of financial literacy in America is scary. Suppose you have $100 in a savings account earning 2 percent interest a year. After five years, how much would you have? More than $102, exactly $102, less than $102, or don't know? Imagine that the interest rate on your savings account is 1 percent a year and inflation is 2 percent a year. After one year, would the money in the account buy more than it does today, exactly the same, or less than today? If interest rates rise, what will typically happen to bond prices? Rise, fall, stay the same, or is there no relationship? True or false: A 15-year mortgage typically requires higher monthly payments than a 30-year mortgage, but the total interest over the life of the loan will be less. True or false: Buying a single company's stock usually provides a safer return than a stock mutual fund. Only 39 percent of participants answered four or more questions correctly. Yikes! How do we fix this? 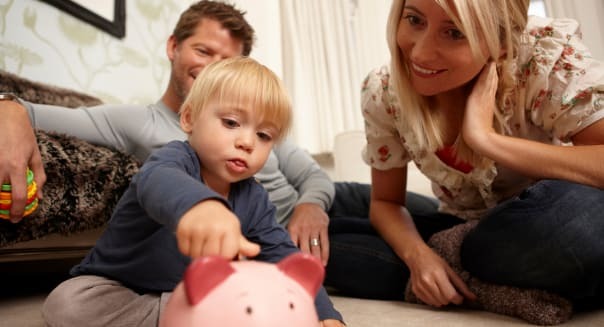 One step forward would be to have parents take a more active role in teaching kids about money and financial responsibility. %VIRTUAL-article-sponsoredlinks%With older kids, encourage them to ask questions about budgeting and investing -- and give them a glimpse of how you successfully manage your own money. Show your teenagers your paycheck stub and teach them about how taxes work, what a 401(k) contribution is and the difference between gross pay and net pay. Many people go to college without realizing how these basic money concepts work. The Jump$tart Coalition is committed to "educate and prepare our nation's youth for life-long financial success." How can you help educate the next generation? Sophia Bera is a financial planner for Millennials and the Founder of Gen Y Planning. You can sign up for the Gen Y Planning newsletter here for more tips on Millennials and money.